StanleyParkVan.com - Everything you need to know about visiting Stanley Park, Vancouver, Canada! 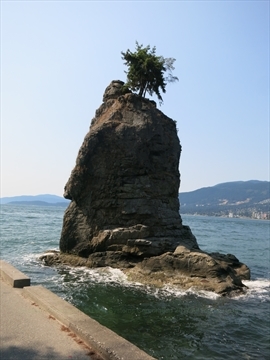 Siwash Rock is a famous rock structure in Stanley Park. 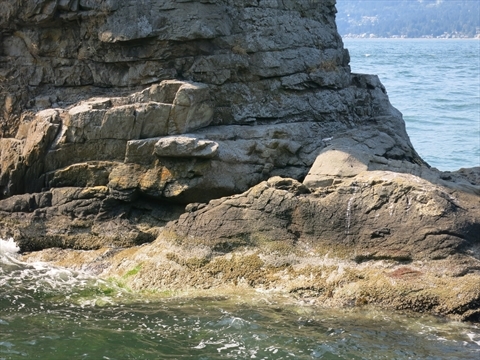 Over thousands of years water has worn a space between Stanley Park and Siwash rock. 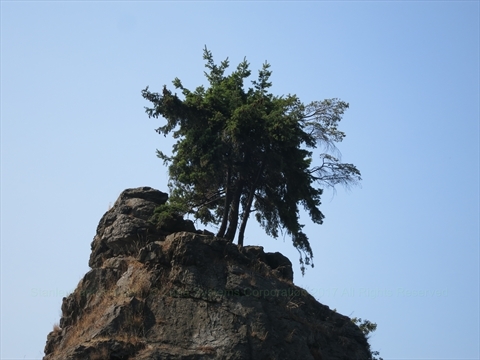 There is a tree that is growing out of the top of the tree. Siwash Rock is not very accessible. It is only accessible via the Stanley Park Seawall. There has been discussions about changing the name of this landmark because the name offends some people. This is still under discussion. Indian Legend tells us that 50 foot high pinnacle of rock stands as a imperishable monument to "Skalsh the Unselfish" who was turned into stone by "Q'uas the Transformer" as a reward for his unselfishness. 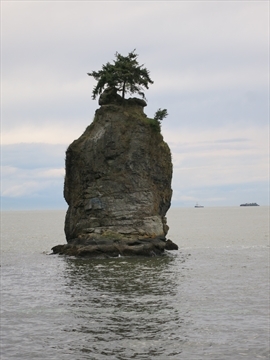 Where is Siwash Rock in Stanley Park? 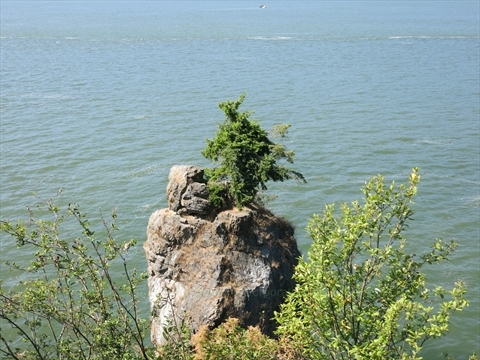 Siwash Rock is located on the west side of Stanley Park. 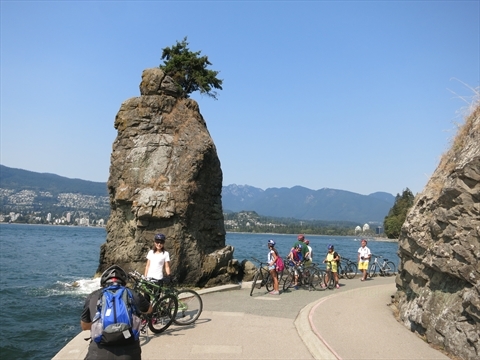 Where can you park for Siwash Rock in Stanley Park? 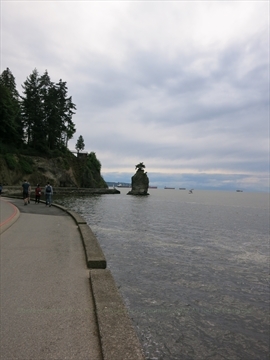 How to get to Siwash Rock in Stanley Park? By Car: You cannot access Siwash Rock by car. 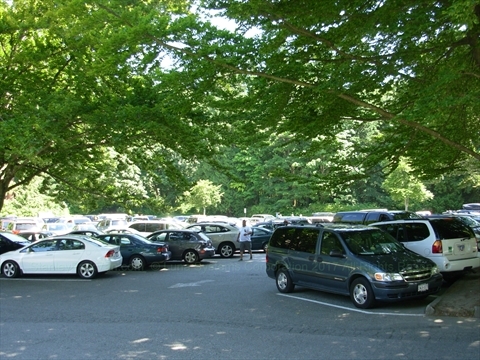 The closest place to park would be Third Beach which is about a 10 minute walk away. By Walking: From Second Beach / Ceperley Park: 1) walk west along the Stanley Park Seawall until you reach Siwash Rock. By Bicycle: From Second Beach / Ceperley Park: Take the path across the road behind the Second Beach Concession Stand into the woods, turn left onto Rawlings Trail, then continue for a few kilometres until you exit the forest at the Teahouse restaurant. At the Teahouse take a right and go down the hill to Third Beach. When at Third Beach continue to the right on the seawall for about 1/2 kilometre. Note that you can return to Second Beach via the Stanley Park Seawall. By Bus: You CANNOT get to Siwash Rock by public transit. 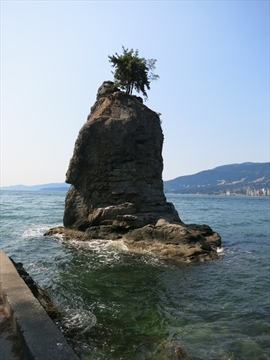 What else is located near Siwash Rock in Stanley Park? 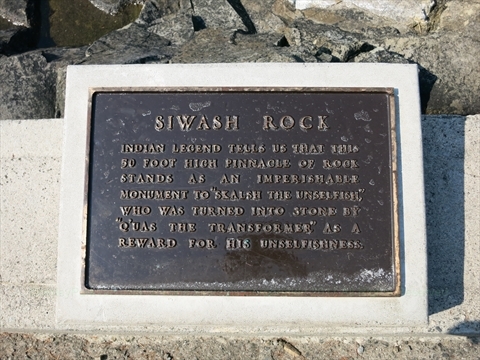 Siwash Rock is right on the Stanley Park Seawall. 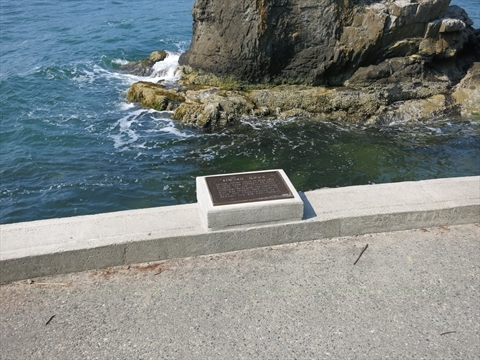 Siwash Rock is a short distance away on the seawall. Also, up the hill from Siwash Rock is Ferguson Point where the Teahouse Restaurant, E. Pauline Johnson Memorial, and Burma Forces cairn reside. Copyright © 2015-2019 Luna Systems Corporation. All rights reserved.